The T-800 robot is a recurring character in the Terminator films, conveying a sense of unstoppable power and malice. It is one of the best-known and most terrifying science fiction depictions of robots. However, while the T-800 has carved out a lasting place in our imaginings of robots, it is wildly at odds with robots' proposed uses and abilities in real life. 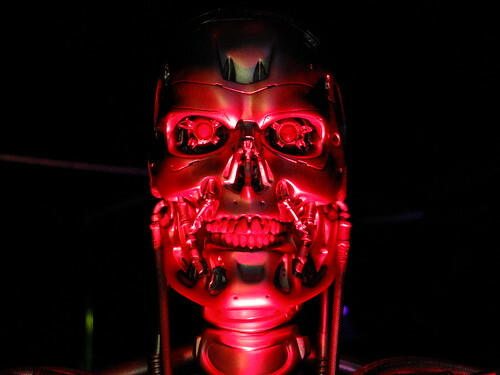 We have yet to build a humanoid robot with the T-800 capabilities. Part of the Robots exhibition at the Science Museum (February to September 2017).